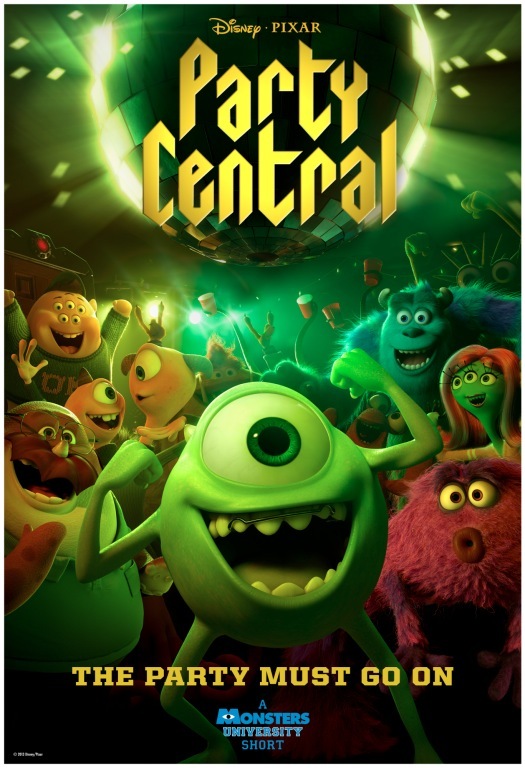 We are now less than two weeks away from the premiere of the new Monsters University short, Party Central, which is set to play with Disney’s Muppets Most Wanted. Originally scheduled to release with Pixar’s The Good Dinosaur this summer, the short was moved up after the dinosaur film was pushed to next year. This move is actually good for Party Central, as it is closer in proximity now to last summer’s MU, and the film is still somewhat fresh in viewers’ minds. Today, a new poster and clip for the short was released – view them both after the break!